Nowadays, if you peek into her scrapbooking room, you can clearly see that patterned paper is her weakness. When I asked her to name her favourite brand of patterned paper, she said she couldn’t choose just one, and instead gave three: Fancy Pants, Basic Grey and My Mind’s Eye. Guess what scrappy supply Ann collects? You guessed it: PATTERNED PAPER! Storage for buttons, as described by Ann, are “little jars that I have to dump out each time to find the right button.” She seems to have found the perfect way to store her brads though, by organizing them in a Making Memories sortable: “I love how easy it is to see them all!” Ann told me. Ann told me that her favourite scrapbooking tools at the moment are her new ATG adhesive applicator gun and her sewing machine, which she uses especially for cards. The set of Copic markers she received at Christmas from her spouse have been a huge hit. “I just love them!” says Ann, with enthusiasm. As far as the world of altering goes, Ann says she enjoys it very much, and that her favourite things to alter are lunchboxes. Ann says she usually scraps at home. Her scraproom is shared with her husband’s computer desk and a TV. She usually scraps surrounded by her boys and husband, unless the boys are at school. She told me that she is often able to include her children in her hobby by “asking them about patterned paper choices and so on” which she says they love. The first is a greeting card and the second, a layout about Ann’s dream kitchen. Both were created with the beautiful & versatile March 2009 “Laundry Line” Kit from Scrapbooker’s Club House. Thank you Ann for being such a talented & creative Guest Designer for the month of February here at Scrapbooker’s Club House, and for stepping into the “Spotlight” for us today! Much appreciated. 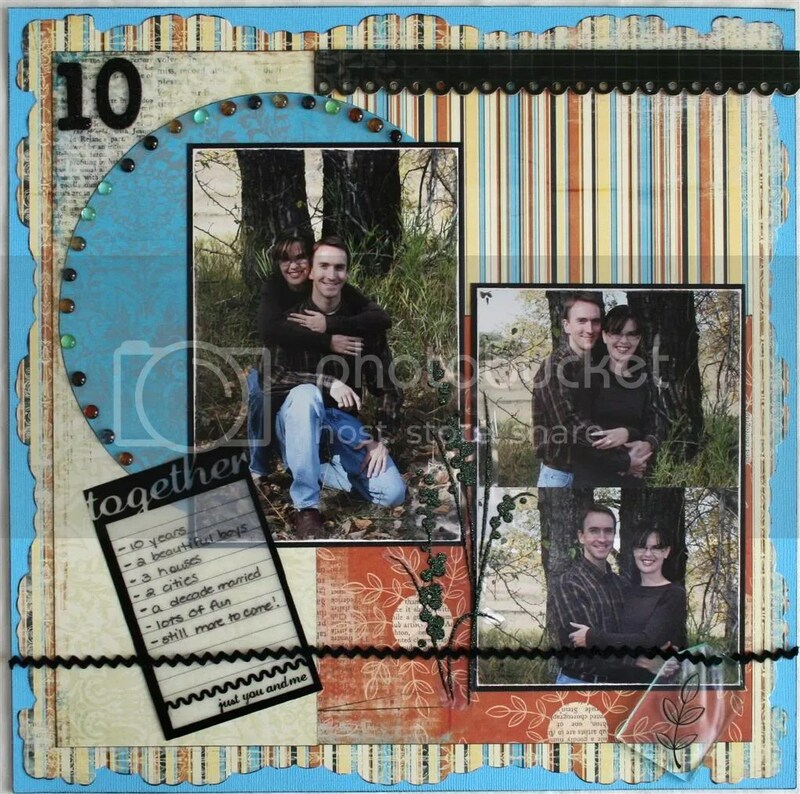 Articles, Design Team Member Spotlight, Scrapbooker's Club House News! Technique Tidbit Thursday: 101 Uses for Stickles! Tfs your time and talent with us Ann! Loved the chance to write up your interview and spotlight Ann! TY for ALL the inspiration you bring to us at SBCH! great interview and great work! It’s been so fun and inspiring getting to see and know you in the forums.